I agree with Bill “Spaceman Lee” who said “I would change policy, bring back natural grass and nickel beer. Baseball is the belly-button of our society. Straighten out baseball, and you straighten out the rest of the world.” Baseball is the bell weather of America and a place that we can all go to if we want. 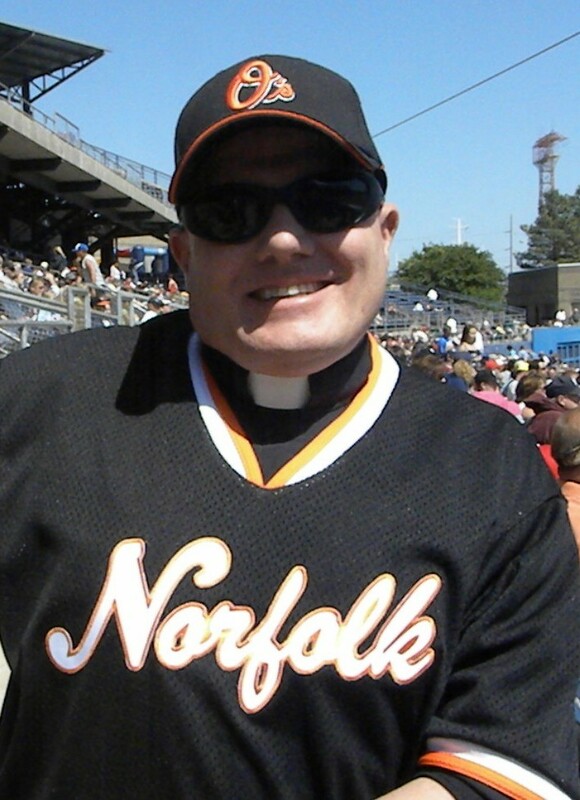 You see I am a member in good standing of the Church of Baseball, Harbor Park Parish, Norfolk Virginia, the home of the Norfolk (former Tidewater) Tides, the AAA International League affiliate of the Baltimore Orioles. For me baseball is more than a game it is a fundamentally important part of my life as God himself or possibly the Deity Herself speaks to me through Baseball. Thanks to my dad and my paternal grandmother I was weaned on the game from an early age and there is nothing like the sight and smell of the baseball field in all its pristine splendor that can bring peace to me soul. Some of the more “religious” among my readers might have questions as to how a Priest can say such a thing and even wonder if I am a Christian. My adoring wife, the Abbess of the Abbey Normal while she concedes that while I am a Christian that she has doubts about my sanity, but then I have papers to prove that I am not quite right so what the heck? Well I am a Christian and it is very simple, I believe in God, in fact I believe in the Christian understanding of God as stated in Scripture, the Creeds and the Councils. At the same time I believe that God speaks to us in many different ways. There have been times in my life, particularly returning from Iraq where it seemed that God had disappeared but for baseball and things connected with it. Blame it on whatever but in the midst of turmoil and national discord I find peace in baseball as even churches have become polarized and as petty and vicious as the various political parties and ideologies at war in the United States. Likewise I believe that God is content not to direct ever little part of our lives and just because I want to be a better curve ball hitter or have more life on my fastball that do not believe that God has to make it happen. I think that he is concerned with other things, even as important as being able to hit a curve ball and have a fastball that moves a bit is to life. I like Jesus very much be he no help with curve ball. So anyway if you look at the topic list on the sidebar you will see links to Baseball, the Baltimore Orioles and the Norfolk Tides. There are stories of great players and the impact of players and the game on the country. There are also stories of places where I can only say that God has touched me through baseball. 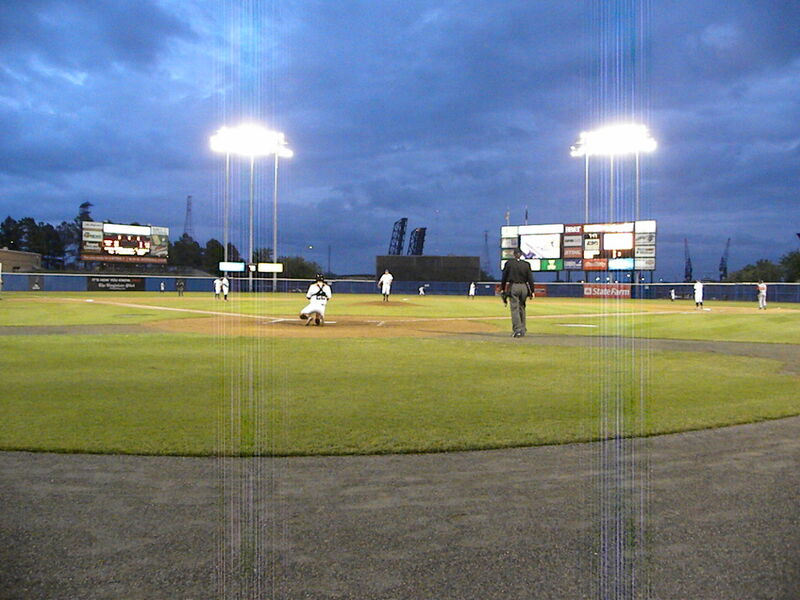 finally there are my game reports and analysis from Major League Baseball as well as my daily reports on the Norfolk Tides. Don’t know exactly what you mean about “NO VISITORS ALLOWED” because I certainly encourage visitors, even Dodgers fans.